WHAT: It’s all about the Soy Sauce when JOHN DIES AT THE END arrives on Blu-ray™ Disc and DVD on Tuesday, April 2 from Magnolia Home Entertainment under the Magnet Label. 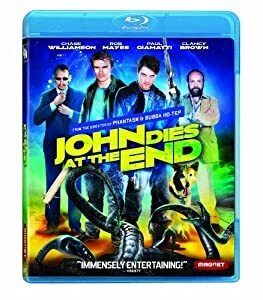 In celebration of the home entertainment release of the unpredictable JOHN DIES AT THE END, the film’s director, Don Coscarelli (Bubba Ho-Tep, Phantasm, The Beastmaster), will participate in a meet-and-greet/signing at “The Home of Horror,” Burbank’s Dark Delicacies. Participation in autograph signing is on a first come, first serve basis. This event is subject to cancellation or change without notice.